Getting into the real estate industry can be fun but the first step is always to register with an approved Texas real estate education provider to begin your pre-license education (classroom or online) so you can then take your exam to get your license. If your application to become a real estate sales agent is accepted by the real estate commission and you allowed to sit for the exam, you need to schedule your exam with the test provider. Once the exam is scheduled, you need to follow the steps detailed below. You should arrive at the testing center at least 30 minutes in advance of the exam start time so that there is time to complete any necessary sign-in procedures These include being photographed, having your palms scanned and signing the candidate rules agreement regarding cheating during, or tampering with the exam. Candidates must show two forms of current signature identification. The primary source must be government-issued and photo bearing with a signature. The secondary source can be a Social Security card, debit, or credit card containing a valid signature. Applicants will be given an opportunity to take a tutorial on the personal computer on which the exam will be administered. No personal items are allowed into the test center, they must be stored outside the testing room. The examination provider is not responsible if they are lost or stolen during the exam. Inadmissible personal items include cell phones, hand-held computers, and personal digital assistants (PDAs) or other similar electronic devices, watches, purses, firearms, hats, coats, bags, notes, pens, and pencils. Likewise, no dictionaries, books, pagers, scratch paper or reference materials are permitted. However, approved calculators are allowed and recommended. These include hand-held, battery or solar-powered financial calculators. No calculator containing an alpha character will be allowed. Studying is not allowed in the testing center. Visitors, children, family members, or friends will not be allowed. Eating, drinking, chewing gum, smoking and making noise that disturbs other candidates is strictly prohibited. The real estate exam consists of two parts, one is national and other is state. The national section contains 80 scored questions of which 10 percent involve mathematical calculations. An additional five questions are included but they are not scored. Candidates have 150 minutes or two-and-a-half hours to complete the exam. They must answer 56 scored questions correctly to pass the exam. The state portion contains 30 scored questions and five to ten unscored ones. Candidates have 90 minutes to answer 21 scored questions correctly. All questions are multiple choice and are approved by a panel of Texas real estate experts. Candidates must take both parts of the exam. If one part is passed, it need not be retaken if the candidate fails the other. Both parts must be passed within one year after the application for the license has been filed with the commission. Candidates are given three opportunities to pass both pats during the one-year period. After that, an additional 30 classroom hours of qualifying courses must be completed for each failed part of the exam. After completing the additional education courses, the candidate may then apply to retake the exam. Another fee of $54 is required. Once the exam is completed and before leaving the test center, candidates receive a score report indicating either pass or fail. Candidates who fail one or both sections may reschedule the exam. A minimum of 24 hours must be allowed between the time the exam is scheduled and taken. A fee of $54 applies for a re-take. The TX real estate commission allows only three attempts to pass both portions within one year from the time the application for the license is filed. Otherwise, additional coursework is required. When an applicant passes both parts of the exam and satisfies all the other requirements, such as the determination of moral character and fingerprinting, the commission will send the applicant an inactive real estate license letter to their email address within two business days. If not all the requirements have been satisfied, the commission will advise the applicant accordingly. After being notified that the person has an inactive sales agent license, the new license holder needs to find a sponsoring real estate broker. Together, they must submit a Sales Agent Sponsorship Form to the commission. Whatever you buy, getting value for money is usually a matter of the greatest importance. It might not be really a problem when youve overpaid for something that is cheap and unimportant. When it comes to purchasing a house, this might be the most responsible deal you have ever done in your life. Unless you are a professional builder, to assess the real condition of the house you are going to buy may be quite difficult. Although it might seem to be a good-looking house, at first sight, this, in fact, could simply appear a beautifully disguised ruin. To make sure that the house is inhabitable and is worth the money to be paid for it, you should hire a competent person to inspect it. There are a lot of different things that require thorough professional examination. That is why when it comes to buying a home, it is strongly recommended to use the service of a certified house inspector. The inspectors provide their clients with written reports on the houses they have been asked to assess. They usually work for themselves and charge about $250-350 per inspection. It is quite a lucrative profession and demand for such individuals is continuously growing. So, how to become a certified house inspector and what steps should be taken to achieve such an ambitious goal? Well, to become the one, you will need to get a special certificate. This certificate can be given after finishing, for example, a Texas real estate pre-licensing school. Its compulsory for an inspector to have it in order to obtain the license to inspect properties. Depending on the state you are gonna work in, you might also be required to reach a particular age and have liability insurance to receive the license. Home inspector courses may also be found on the Internet. 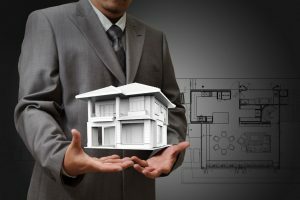 There you will learn basics of interior construction, different property marketing techniques and how to make an inspection report. You can also contact a local community college and ask whether they have the home inspector courses available. Actually, there are many schools where you can get the certificate. Just call the Examination Board of Home Inspectors and they will provide you with this sort of information. When finishing the school, you will need to pass the National Home Inspection Examination. Once youve passed it, they will give you the certificate, needed to obtain the license. So, use these tips and become the lucrative career of a certified home inspector. Being a really professional and reliable building contractor has always meant to be a wealthy and respected person. The popularity of this profession is continuously growing, and the reliable contractors are always in demand. Despite the fact that you can come across an ad of building service almost everywhere, to find a genuine professional is unbelievably difficult today. Unfortunately, not everyone who claims to be a real builder is the one indeed. Today there are a lot of people who just pretend to know almost all the ins and outs of this profession in order to get money. Charging customers a bit less, than it actually should be, they usually present themselves as cheap and reliable builders. Lacking knowledge and experience, those people often do a very bad job. Its worth noticing that their work may look ok to the customers, who are unfamiliar with what it should be like. A few months later, when the homeowner has already paid them all the money, there are usually starting to come out many problems. So, how to become a good builder, and be sure that you are doing a really nice job? it is very advisable that you take appropriate training courses. Call your local community college and ask whether they can help you. Have a look at what is available on the Internet. By the way, you can take an interior building training course at almost every Texas real estate pre-licensing school. Alternatively, you can contact the National Council for Construction Education and Research and ask them to help you in finding appropriate educational programs. It is very important to remember that in order to become a builder, you will need to have experience. The idea that the school alone can easily turn you into a great contractor is totally mistaken. Dont even think to take a big job when you have never done anything like that before. It is always better to start working for another building contractor first and try to put your knowledge into practice. When you see that you can manage building projects on your own, then you can give it a go. Buy all the necessary tools, a van, and become a builder. So, use these tips, and you will certainly become a great builder. When it comes to understanding the current real estate market, many people would think that it is difficult. About the real estate market, it is constantly shifting with the sales and additions of homes on the market. Because of the frequent movement on the real estate market, many people became interested in sales and this what keeps them coming back again and again. Once a homeowner and a new real estate agent got the comprehension of how to operate with real estate the possibilities of sales, renovations, and purchases will seem endless and simple. You do have to find a Texas real estate school to get your real estate license. The best way to learn this is to take some actions. You need to get out in the field and start doing some real estate marketing, talking to people, looking at properties, and making offers. You will make some mistakes, but as you work the business more and more, your learning curve will become smaller and smaller. Remember, you will never learn everything. The key is to gain enough knowledge and learn from the mistakes. This will lead you to become a successful real estate investor. Becoming a real estate professional is like getting licensed in any other field that requires certification. Training and education are a must for someone who is going to be working with sellers and buyers of real estate. Real estate sales involve large investments of customers’ money on the buying end and the end of a major investment on the sellers’ end. The Texas Real Estate Commission (TREC) requires that an individual be at least 18 years old and a Texas resident to obtain a Texas real estate license. The individual must also take a significant amount of education and training in real estate sales and practices. Specifically, TREC requires five courses to be completed and tests administered. The five courses total the equivalent of 210 classroom hours. If you wish to live on your trade as a Texas approved real estate license salesperson, adviser or an evaluator in the state, then you have to get an approved license permit to do business. The varied states of the country have separate criteria for taking the state examinations which are particular for the real estate business. 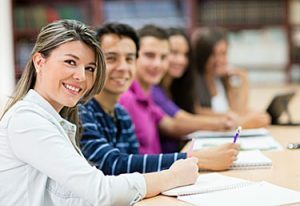 If you live in the state of Texas you’ll need to get your education from an approved online school in Texas. 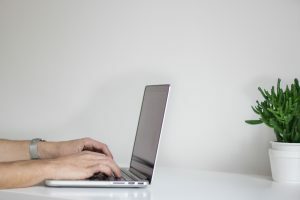 The Internet is of immense help in case you wish to know the qualifications that you require so as to take the tests so it’s a great idea to look up the requirements for your specific state. The web offers the required information along with the catalogs of the various schools that provide the necessary education needed for education and eligibility for your state. You can choose to be under the residential mentoring program, which teaches you strategies on how to make profits by selling homes. Or, if you want to earn by selling commercial properties, you can enroll in a commercial mentoring program or a Texas real estate course. Succeeding in this real estate investing field should be more than just through textbook knowledge, but also through principles and right attitudes. Most real estate companies stress on how important it is to learn through the successful examples of others, which is why their mentors are those who have already mastered the ropes in real estate investing and are willing to share the success to others. Enroll in a mentoring session today and find out more about the tips you need to become successful in the real estate industry. Getting mentored and licensed to sell in the real estate industry. When you are looking for a new career it is a great idea to consider entering the Texas real estate field. You can be a Texas real estate agent when you become licensed, so in order to do that you will need to find the place to accomplish that at. When you want to get your Texas real estate license you can do so from an online school which will be very convenient for you. You can get your Texas real estate license from this online school and work it in around your schedule. You can actually receive your Texas real estate license online. Military personnel and the spouses of military personnel are encouraged and in some case given discounts during the process of getting their Texas real estate license. Some of these online real estate schools will help you with remedial math courses if necessary as well. This sort of thing is important in case you really want to be able to figure out those real estate commissions extremely quickly. It is especially a positive thing if you are able to sell or consult about homes in the Houston TX area. Houston happens to be one of the fastest growing cities within the state of Texas, so it would be helpful if they have a lot of real estate professionals available in order to show homes to all of these new business people and executives moving into town. The current Mayor of Houston Bill White has some background experience within the real estate sector and would certainly encourage other Texans to look into the profession. 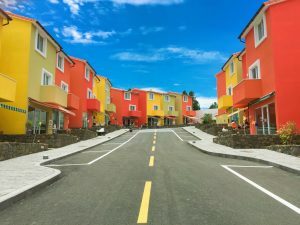 Because of this, it is advised that all real estate trainings are taken from a State approved provider so that money is not wasted on trainings that do not meet Texas standards. The Texas Real Estate Commission has the option of refusing licenses to people that do not have trainings that meet their high-level of standards. People that are looking for ways of making a second income do not have money to waste. In this situation, the best savings on classes are gleaned for the schools that are on the State approved list and not from out-of-area schools. site and begin as soon as you can. Once you get your Texas real estate license you will be able to go out and work in the field. See all the wonderful people you will meet when you are helping them to find the ideal home. It will be interesting and exciting work for you. Make sure that you get out there and get the Texas real estate license and then begin making money as soon as you can. The challenge of getting a real estate license in Texas is hardly worth mentioning compared to the possible rewards of being successful in real estate. While it is true that there is a lot of information to learn, and many hours of material to study, the possibilities that are opened up in a real estate career are incredible! Many students take their classes through a home study real estate school, or via an online real estate school. This is fantastic – not only does the student save gas money and time that would be spent commuting back and forth to a classroom, but they can also study and learn in the environment that is most comfortable and effective for them. When an aspiring real estate salesperson works through the various classes and courses required to receive their license for selling property in Texas, a tremendous sense of accomplishment and fulfillment is reached, and they can begin their career with confidence and excitement. Having a job in the real estate can be a 24 hours a day and 7 days a week if you allow it to be. Imagine phone calls in the evenings, on the weekends or during church. It is up to the agent on how he or she runs the business. Do you think he or she needs the structure of working between the hours of nine to five Monday through Friday? A real estate career can be established that way, but the agent may lose the business of those who need night and weekend attention. Again, there are options here. But before you can enter into this kind of a career, you need to take a real estate license course. Then in order for you to practice as a real estate agent or broker, you need to take a real estate license, this is required in every estate. To be able to get a license, the persons age must be considered, he or she must be 18 years old or older. He or she should be a high school graduate or have a General Education Development (GED) and passed a written licensing test. In other states, they require schooling or college coursework. You can now save some of your valuable time and complete an entire course from your home or office instead of sitting in a classroom for countless hours. Check out home inspection training courses and irrigation home study course or visit the website www.realestatelicenseschool.org for more information. 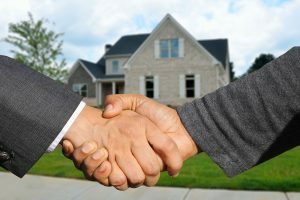 If you have got a house in Texas and want to sell it, you need to know a few things to have it done successfully. The point is that there are a couple of important factors, which will unavoidably play a big role in the process of selling your property. So, what should one know and what steps should be taken to have a house sold successfully? First of all, you have to make sure that your house looks good. If there is anything that needs repairing, then fix it. Check the outside walls if the plaster is ok there. If you find any holes or cracks in the wall surface, then fill them. Check the condition of woodwork inside and outside the house. Try your best to improve the home. It is also important that the windows and curtains are clean. If you can, of course, repaint the rooms. It will make the air in the house fresher. Only when you have done that, call an appraiser and potential buyers. When you sell your house in Texas, it is important that you find a professional realtor. In addition to that, such a specialist has to have a special license which allows them to process property transactions. So, you will need to ask your agent, whether they have a Texas real estate license. Usually, a house selling process in Texas is quite complicated and requires being competent in real estate. You will need also to produce the Sellers Disclosure of Property Condition Notice. This document is to show the condition of the house, what defects it has, what maintenance work has been recently done, etc. 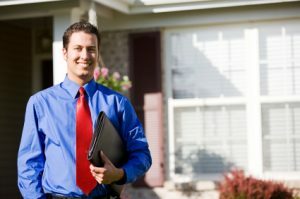 When you hire a certified estate agent in Texas, they usually do everything for you. Since you have entrusted them your house, you have nothing to be worried about. They speak to the potential buyers, show them your property and arrange the necessary paperwork. When you have decided on the price of your property, the realtor puts it on the market. 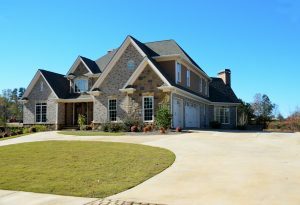 Bear in mind that as the owner of the house you are responsible for covering any unpaid property taxes, one-third of the appraisal cost, agent commission and a title transfer expenses In Texas, you will not be able to back out of the selling contract once you have signed it. So use these tips, and make your house fetch a lot of money. Many people are sure that realtors only sell information about the real estate. 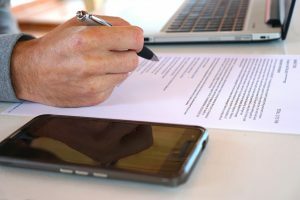 Yet, this point of view is not correct: duties of a real estate agent involve choosing homes that will be interesting for a client, checking documents and even a legal support of the deal. 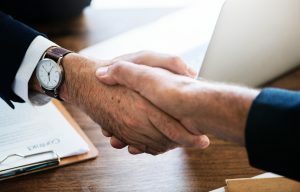 In the very beginning of a deal, realtors are those persons who find out clients’ demands, specify details and then build up a strategy of business relations. 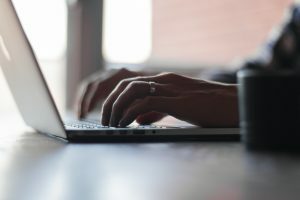 With the help of computer databases and their own means, realtors pick out suitable premises, arranges meetings and showing, studies documents that relate to the object. Then, there are negotiations on the deal: the price, terms, expenses, etc. The last stage of the process is checking the legal purity of the home, preparation of documents and working with notaries. It is clear that without certain skills, all these tasks are impossible. That is why realtors usually pas a very serious training in special institutions like a Michigan, Ohio or Texas real estate school or many others. Are you looking for a change of career? In the Texas real estate field you can make a living. You will enjoy a great career with lots of rewards. Imagine helping others to find the home of their dreams and you can do this when you get your Texas real estate license. 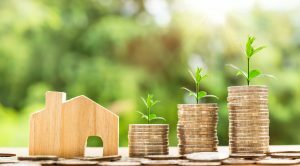 Be sure that you begin immediately to get into the Texas real estate market so that you can start reaping all the rewards. You will find it to be an exciting career choice and one that you will really enjoy. At the best online real estate school you can get your Texas real estate license quickly and easily. You will be able to do so at times when it is convenient for you. Never having to dress up will be one of the best plusses. You will also find that you will save money because you will not have to put gas in your car because you will be studying from the comfort of your home. Visit the https://www.realestatelicenseschool.org site and sign up so that you can get the Texas real estate license as soon as possible. The quicker you get the license the sooner you will be able to get out in the field and make the money that you have always dreamed of making for yourself. It will be a great career choice for you and will allow you to have a great future. Obtaining your TX real estate license is easier than ever. All you need is to complete the four required CORE courses in order to be eligible to take the Texas real estate Salesperson licensing exam. These courses can be completed online through an accredited online real state school or in person at a college. The courses that you will need to complete are; the principles of real estate, principles of real estate 2, law of agency and the law of contracts. You can find discounted prices online for these courses that include all four of the required courses, books and materials, and your choice of either taking your exam online or an exam in a classroom. If you’d rather take the courses in a classroom with one on one help from a teacher many real estate companies offer these courses in hopes of you becoming a real estate agent for their company. Once you have completed the course you will receive your certificate of completion which you will need as proof and will need to supply to the real estate commission. Once the Texas real estate commission has notified you that all educational requirements have been met then you will be able to move on to taking the license exam. When you work at a full-time job that is just barely making enough to pay the bills, sometimes it is wise to start studying in your spare time for a new career that can either supplement the current income or replace it with better pay opportunities. In Texas, good opportunities for extra income exist through having a Texas real estate license. 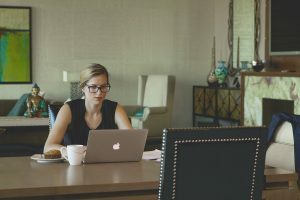 Classes that are approved by the State of Texas to teach real estate trainings are available online so that working people can attend the classes whenever there is time available to do so. For information on where to find Texas real estate classes that are approved by the state, contact the Texas Real Estate Commission either online or by telephone.